With a commercial life close to four decades, the Mitsubishi L200 has just been renewed with an update that was crying out since the last facelift back in 2014. One of the most popular Japanese pick-ups has been rethought in depth to follow being one of the best options as a work or leisure vehicle. In this new generation that opens for 2019, the Mitsubishi L200 incorporates the design language of the latest models of the signature of the three diamonds, but also complements it with more equipment than ever and a technological section in line. In fact, it is not a completely new generation, it is an update of the 2014 version, but a deep update. On the outside it is easy to find the differences with a rectilinear design on all four sides and the LED headlights reduced to the minimum expression and horizontally. Very Eclipse Cross . The look is much more modern and powerful than the previous L200, with a massive appearance on the front and a rear that also changes, now using a pilots look more modern and elegant. The aesthetic update includes even a few more marked wheel arches that emphasize its character and reject the curved lines of the outgoing model. This new version includes numerous driving aids such as emergency assisted braking via ultrasound, blind spot warning, cross traffic detector, hill descent control and driving modes with specific offroad applications to travel through difficult terrain: Sand, Mud or Gravel. On the mechanics have not yet transcended the details, so it may possibly keep the same range of current engines (250 DI-D and 300 DI-D) with a slight update. The biggest novelty is a new six-speed automatic gearbox that replaces the previous five. 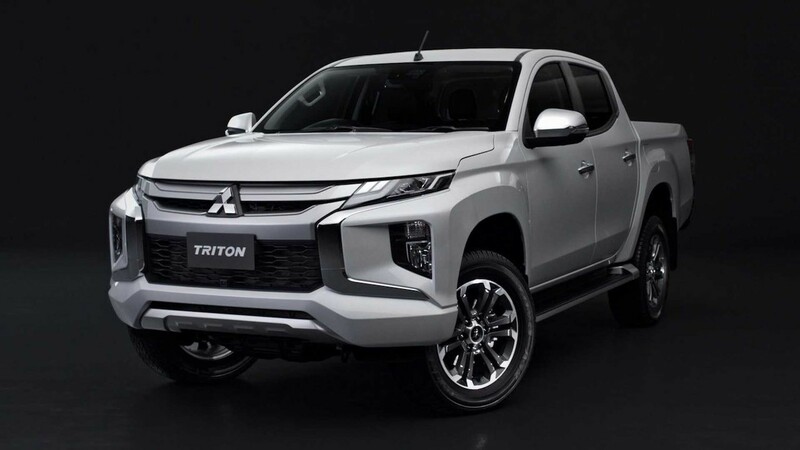 This Mitsubishi L200, or Mitsubishi Triton as it is known in many countries of the globe, will be available from November 17 in 150 markets around the world to continue to grow a legacy that far from retiring is still expanding. Separator image Posted in Auto.